Do you want to get started building apps for Android, today’s number one mobile platform? Are you already building Android apps but want to get better at it? 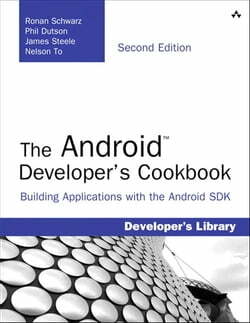 The Android ™ Developer’s Cookbook, Second Edition, brings together all the expert guidance and code you’ll need. This edition has... read more been extensively updated to reflect the other Android 4.2.2 releases. You’ll find all-new chapters on advanced threading and UI development, in-app billing, push messages, and native development, plus new techniques for everything from accessing NFC hardware to using Google Cloud Messaging.